The school-to-prison pipeline is a widespread pattern across the United States that pushes students, particularly disadvantaged students, out of schools and into the criminal justice system. This is largely due to public institutions not properly addressing the needs of individual students who may need extra help educationally and socially. This is often because of financial and staffing shortages. This results in students being poorly educated, dropping out or getting kicked out of school, often resulting in arrests that develop into a cycle of continued arrests and crime which plaque not only that individual, but their community and ultimately, our society as a whole. 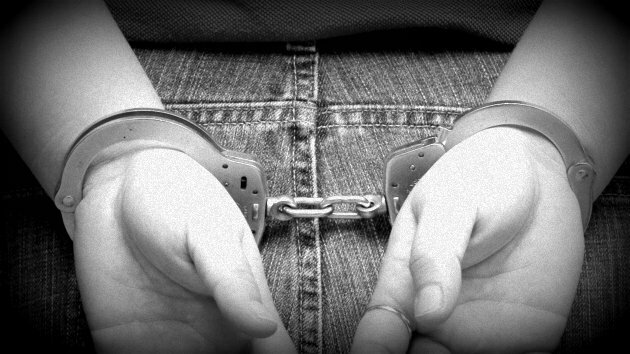 Each year across the nation, thousands of students are handcuffed in front of their classmates and taken to jail for behavioral problems that used to just result in a student being sent to the principal’s office or suspended. A large majority of the students being arrested aren’t committing criminal acts, but displaying bad behavior. They are being arrested for misdemeanors such as “disorderly conduct”, which includes infractions such as refusing to give up their cellphone in schools with no cellphone policies and classroom disruptions. A relatively small percentage are arrests for weapons charges. I personally have seen students arrested who had been suspended or put into an alternative school program, but came back to school either thinking their suspension was up or without truly understanding the terms and conditions of their suspension. Granted, when asked to leave campus these kids were defiant and thus arrested for trespassing, and while some were given warnings to leave campus, others weren’t given a warning at all and were simply arrested in front of their classmates. There are definitely times and instances when students need to be arrested and detained for their own safety and/or the safety of others, but I think far too often, students are needlessly being arrested, taken down to the juvenile detention center and exposed to the criminal justice system. An arrest record can stay with these students for the rest of their lives, even when the charges are dropped. When applying for jobs or to colleges and asked, “Have you ever been arrested”, they will will have to check “yes”. Last week I watched as a group of girls had a verbal altercation on campus, that looked like it may erupt into something physical. As far as I could see, no one was physically being assaulted, but one of the school resource officers responding to the disruption, grabbed a girl, threw her to the ground and placed handcuffs on her. Despite everyone screaming that she wasn’t doing anything wrong, she was still detained. I believe she was eventually released to the custody of her parents and suspended, but it was obvious by the look on her face and everyone around her, that it was a traumatizing experience. Not only is being arrested traumatizing and embarrassing, it interrupts a students educational process and can create distrust in the school system and the law. I think far too often, arrests are made in cases such as a petty fight, minor vandalism, trespassing and minor theft, things that used to send a kid home for ten days, but now may get them arrested. I’ve even seen students tazed by officers during school fights, when they used to be broken up by teachers. Granted, often students who get arrested have ignored warnings and instructions given by the police officer. I wouldn’t dare want to interfere with law enforcement’s ability to do their job, especially in light of the Sandy Hook shootings, but when police officers are on campus, the number of student arrests for minor infractions increases, many of which seem petty and unproductive. For example, here in Florida a teen was arrested for trespassing because during her suspension she returned to school to take her final exams, and students involved in fights are often charged with battery against each other. Students with various disabilities and black students are arrested more compared to their percentage of the student population. Even in schools for students with severe emotional problems, students are getting arrested for things like hitting, kicking and throwing objects, behavior that seems more related to their disabilities than to criminal acts. While black students are more likely to be arrested than white students, it’s not because black students are misbehaving more, but historically and presently they seem to be punished more severely for less serious infractions, according to a study done by The Equity Project at Indiana University. Black males tend to be arrested more for “disorderly conduct” while white males are more likely to be arrested for drug charges. Black students are also more likely to have their cases dismissed than white students. We can’t criminalize children for being and acting like children. Most of the students who get arrested already have had discipline or absenteeism problems before the arrest and could have benefited from an in school psychologically based program, such as the one I work for. It helps students with anger, academic, emotional, substance and behavior problems, and we even advocate for them during times when they are on the verge of getting arrested or expelled. Unfortunately, many schools don’t have this type of program, nor the funds and staff to conduct the social services needed. Thank you for posting this! I find it disheartening that there is such a gap in the research in this area! As Therapists, I believe we have a charge to advocate for our clients. Advocacy can take many forms, at the very least, our field could do is qualitative research. I am in thee process of writing a research paper/lit review for my MFT Legal and Ethical class on the Family Therapist’s role as advocate of social justice for families of youths caught in the School to Prison Pipeline. Thank you so much for taking the time to read and response. You are absolutely right about the gap in research in this area. Thank you for being an advocate. It takes people like you to start making changes, so I will thank you in advance for the great work you will continue to do!